Below are the RSS feeds from all TechAssure member blogs. You can use the posts as inspiration for your own blog entries or for educational purposes. Before repurposing content, please verify sharing permission from the post's author(s). 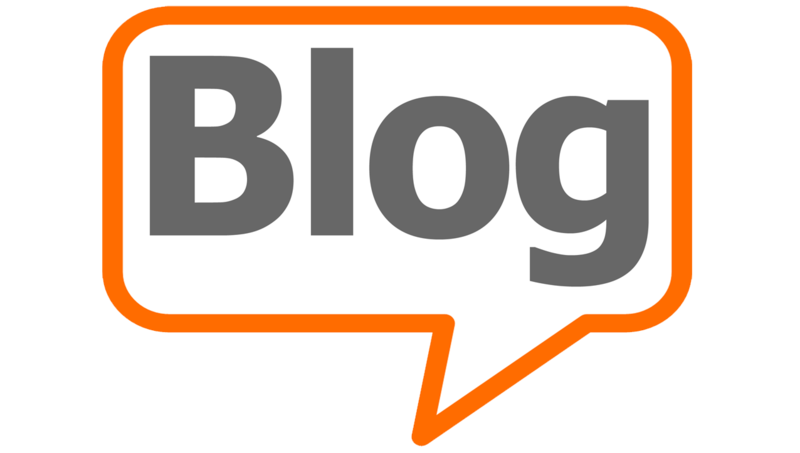 If your blog is not being featured, please send us a note and we will add it. I am no political strategist, nor do I want to be. But, I think I have political acumen based on my background and what I currently do. And I gotta say to Republicans: Come on people, REALLY!? Do you REALLY want to lose the Senate and the White House in 2020?!? In my opinion, Republicans have a “winning” issue with Medicare-for-All. Democratic Presidential Candidates are on record saying that they want to eliminate all private insurance, which includes employer plans that millions of people generally like. That has freaked most of the American public out. Republicans have seen the survey data on Medicare-for-All: Support for Medicare-for-All plummets when John and Jane Q. Public are told that their taxes will go up and/or they will lose their current health plan. Medicare-for-All is a “gift” – with a capital G – that Republicans have been waiting for for the past 2 years (after they embarrassed themselves by failing to make good on their 7-year long promise of “repealing and replacing” the ACA, and then getting out-maneuvered in the 2018 mid-terms because they were too slow in responding to the Democrats pounding them over pre-existing condition protections). In my last update I ended by saying: We are so far removed from ACA “repeal and replace” it’s kind of funny. That is definitely true because we once talked about limiting the scope of public health programs like Medicaid, and also reducing insurance regulations. But NOW, we are talking about a government-run system where the only health coverage that is made available IS a public health program (a.k.a. Medicare-for-All), and also increased insurance regulation under various “shades” of single-payer like a “public option” or a Medicare-Buy-In or price controls. As Florence moves closer to our area, now is the time to make sure you have implemented some basic risk management. 1. Review your insurance documents so you know the... The post Hurricane Florence appeared first on JJ Wade & Associates Insurance - Davidson, NC . Jay Roberts, one of our innovative risk advisers, was crowned champion of the 2018 Wilmington City Amateur golf tournament this past weekend. He finished with a 68-72, one shot ahead... The post Jay Roberts: 2018 Wilmington City Am Champion appeared first on JJ Wade & Associates Insurance - Davidson, NC . The following article was written by David Rainey, innovative risk adviser here at JJ Wade Associates. The North Carolina Reinsurance Facility announced a new 14.61% commercial auto loss recoupment... The post The Upcoming 15% Rate Increase On Commercial Auto in NC is Not a Tax but It Sure Acts Like One appeared first on JJ Wade & Associates Insurance - Davidson, NC . Effective March 29, 2019, Michigan becomes the 11th state to enact paid sick leave entitled the Paid Family The post Michigan Becomes 11th State to Enact a Paid Sick Leave Law appeared first on Bolton & Company . The Department of Labor (DOL) has issued a new proposed rule that raises the annual minimum salary requirements The post Proposed Rule Released: U. S. Department of Labor White Collar Exemption and Overtime appeared first on Bolton & Company . Passage of the Farm Bill has had a positive effect on availability and premium cost. Since my last The post An Update on CBD Product Liability Insurance appeared first on Bolton & Company . The escalation of litigation surrounding the Me Too movement has quickly lead to a barrage of lawsuits involving allegations of sexual  The post Sexual Harassment Allegations, the Me Too Movement and Portfolio Company Derailment appeared first on Mason & Mason Technology Insurance Services, Inc. | California License Number 0A94455 . As a co-founding member of TechAssure, we are so pleased to receive this wonderful recognition! TechAssure Earns Insurance Business Award  The post TechAssure Named Network of the Year by Insurance Business America appeared first on Mason & Mason Technology Insurance Services, Inc. | California License Number 0A94455 . The analysis of cybersecurity risks and exposures is a critical component to MA due diligence, which many times does not  The post The Importance of Cybersecurity Due Diligence in MA Transactions and for Boards of Directors appeared first on Mason & Mason Technology Insurance Services, Inc. | California License Number 0A94455 . Moving to a new home is the beginning of an exciting new chapter in your life, but can often be a logistical headache. Whether you are making the move across the country, or just down the street, there are plenty of details to consider. As a small business owner, you have poured your heart and soul into your work. Building your own business venture takes drive and passion. Protecting what you have built requires you to spend smart and plan carefully for any unexpected bumps along the way.